The concept and structure of Christmas hasn't changed much since its inception. In its infancy, Christians recruited Roman pagans by associating Christmas with the Saturnalia, an ancient Roman festival in honor of the deity Saturn (also held in December). The pagans had long worshiped trees (as did other historical cultures) and would bring them into their homes and decorate them, something that influenced our modern holiday decorations. While certain things such as gifts and ornaments have been modernized, the Christmas tree itself has stayed relatively the same. Obviously, trees can't physically advance in look, but wait... why not?! Why can't we modernize the tree when everything else revolves around LED lights and faux fireplaces? 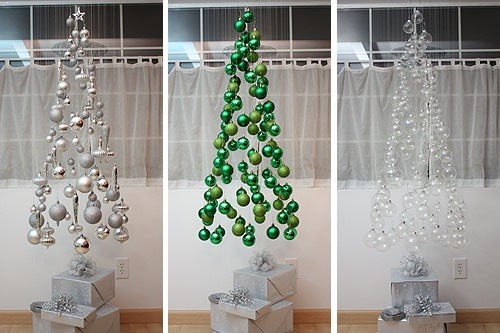 Well, here's a list of a few alternatives to those Christmas trees your granny still thinks are cool. 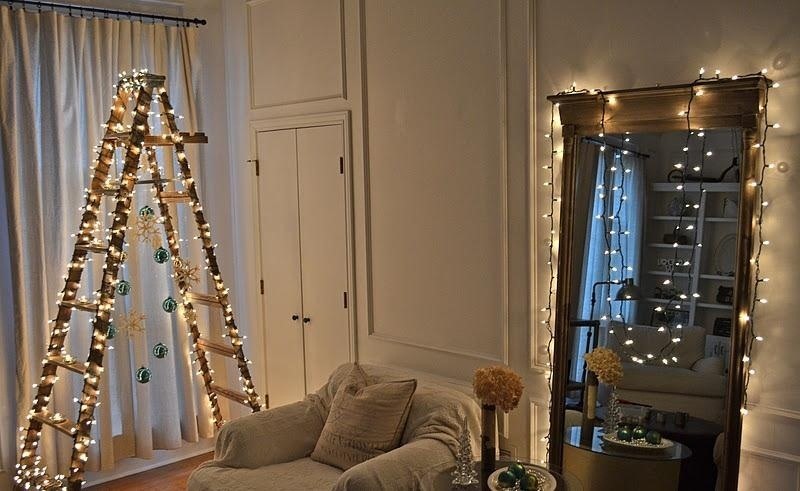 Personally, I find this DIY ladder tree the most attractive. 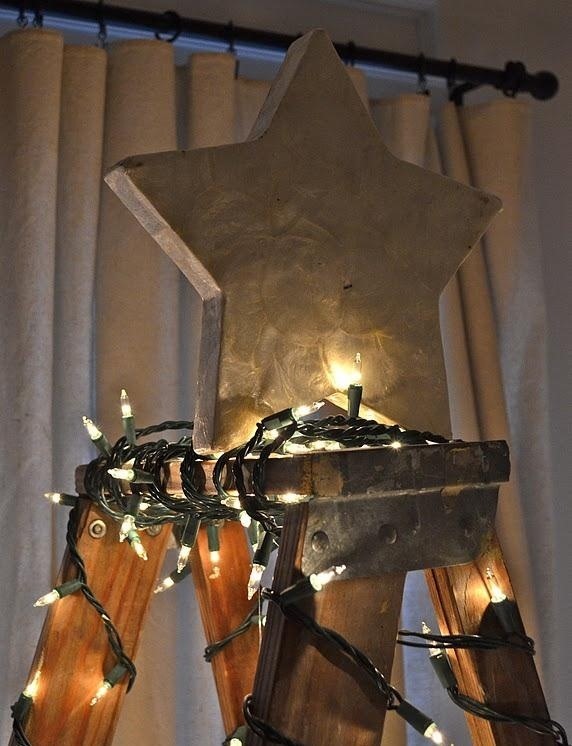 It's as easy as finding your ladder and decorating it with lights and a few ornaments. It's very simple, open to creativity, doesn't cost much, yet looks great. It can give your home a bit of a rustic look, while at the same time maintaining a sleek and modern feel. The best part about it is the non-mess it's going to leave behind. Have you ever tipped over an evergreen conifer? It's not pretty. Who Will Love It: Apartment owners, neat freaks, and rustic folks. 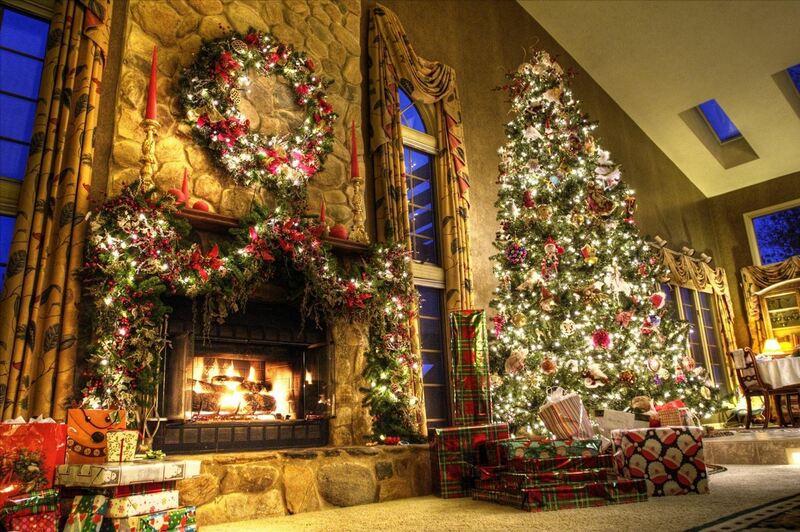 Don't want your Christmas tree to take up any room in your home? 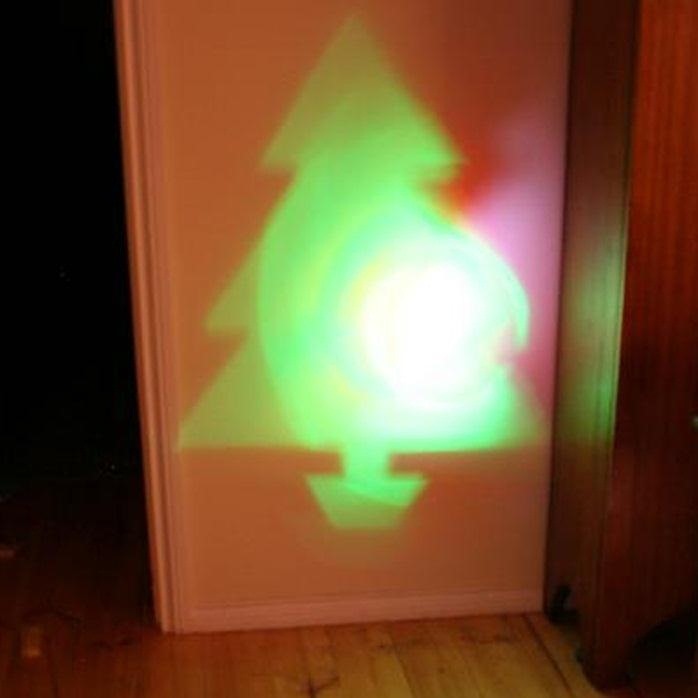 Then this DIY projector tree might just be the perfect choice for you! The project, made out of a plastic pipe, projects a Christmas tree onto any surface. 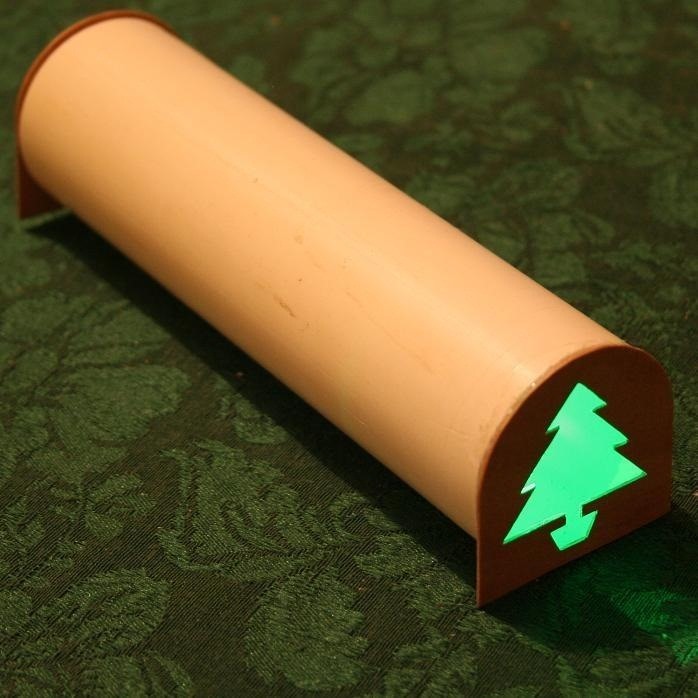 The green LED lights inside the pipe shine through the small Christmas tree cutout on the plywood end, making a six foot projection. If you'd like, you can even draw on ornaments. Just make sure you don't use permanent markers. That would be bad. Who Will Love It: Nerds, space savers, and super neat freaks. Dude 1: "Dude, I'm trashed." Dude 2: "Yah, me too bro." Dude 1: "What should we do with these beer bottles?" Dude 2: "Ummmm, make a Christmas tree or something?" 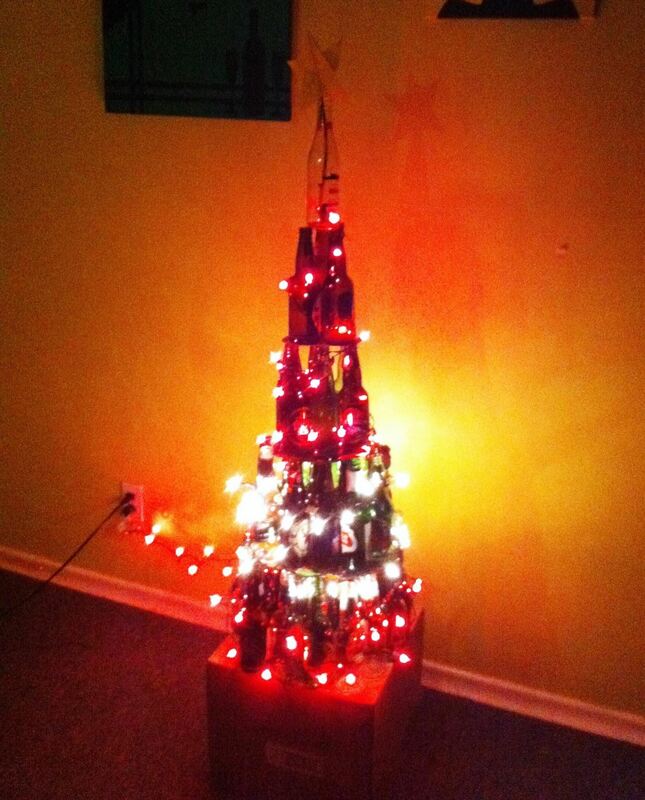 I'm pretty sure that's how this DIY beer bottle tree came about. A couple of dudes drinking beer (from green bottles) and seeing the similarity between them and Christmas trees. 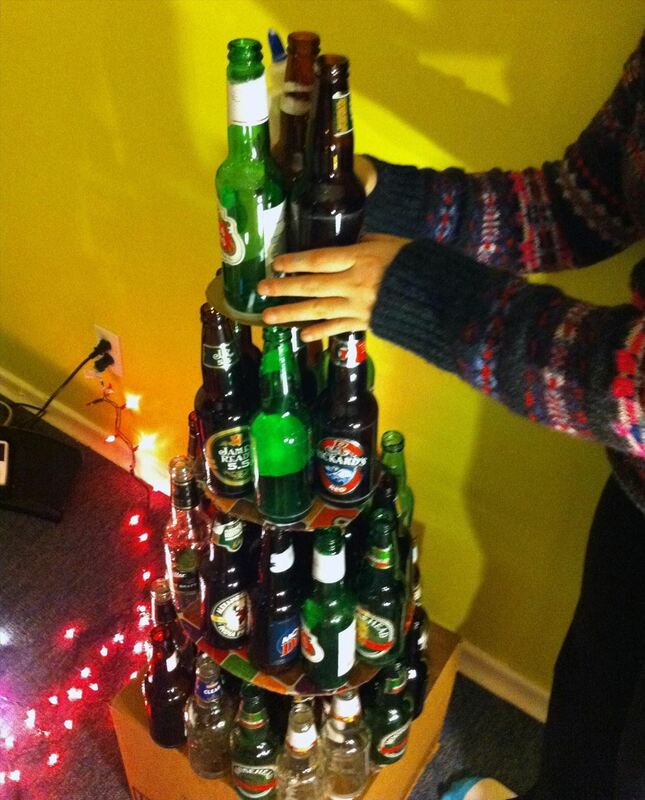 This beer tree in particular uses 56 bottles with five different tiers, all held together by hot glue. It's a great excuse to drink (as if you needed one). If you're really thirsty, you can try this tree. Who Will Love It: Alcoholics, college students, and homeless scavengers. Want to show your friends and family how smart you are during the holidays? 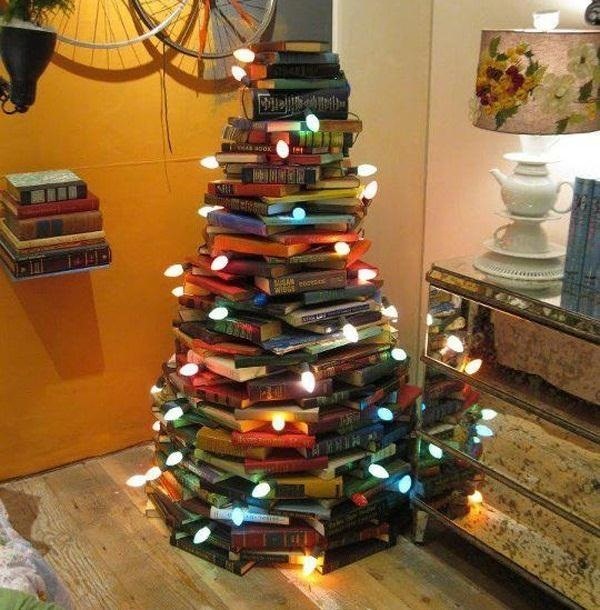 Make your own bibliophile Christmas tree! This tree is composed of about 100 books, stacked in a circular Christmas tree type of shape (it might take a while though). Don't worry, the books aren't glued together. Just make sure no one bumps into it. It'll fall apart, just like the friendship you had with the person that knocked it over. Who Will Love It: Book lovers, book haters, and people that have books. Christmas trees are freaking heavy. It's not like you can easily move the Christmas tree from the kitchen to the living room without knocking over pictures and vases. This DIY ornament tree takes away all of that tedious and unnecessary manual labor during the holidays and replaces it with simple. This project uses a steamer rack, hooks, lots of string and a hundred ornaments in order to make a mobile hanging Christmas tree. Move it from the kitchen, to the living room, to your bedroom, to your friends kitchen, and then back in a flash (I'm exaggerating, but you get what I'm saying). Just don't put it near any vents; it's a Christmas tree, not a wind chime. Who Will Love It: People that like cute stuff, Martha Stewart freaks, and pretty much all women. 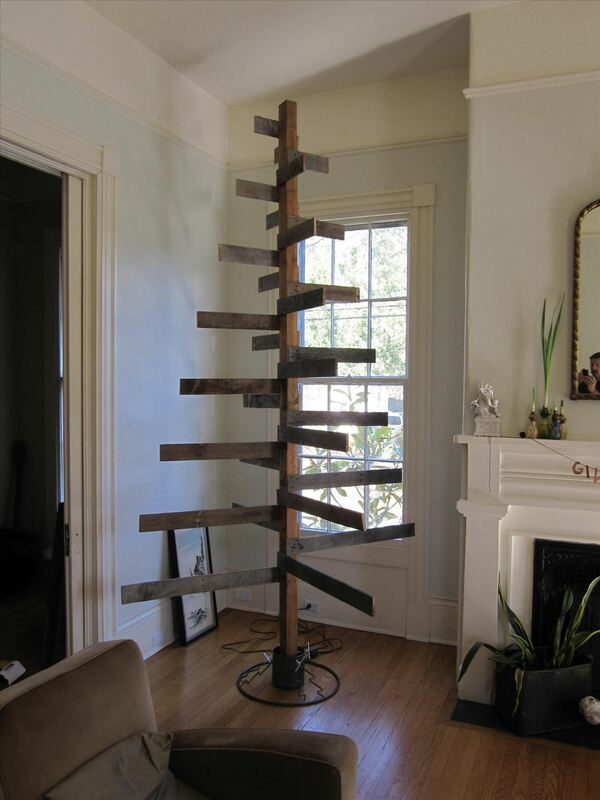 This do-it-yourself tree made of wooden pallets is a bit more time consuming to make than the rest, but looks awesome. It's basically just some old pallets stripped down to their individual planks, then cut to their respective sizes and nailed together. It's pretty awesome, and will pretty much COST YOU NOTHING. You can also check out this plywood tree if you've got some better woodworking equipment. Who Will Love It: Carpenters, families, and people that like to build stuff out of pallets. 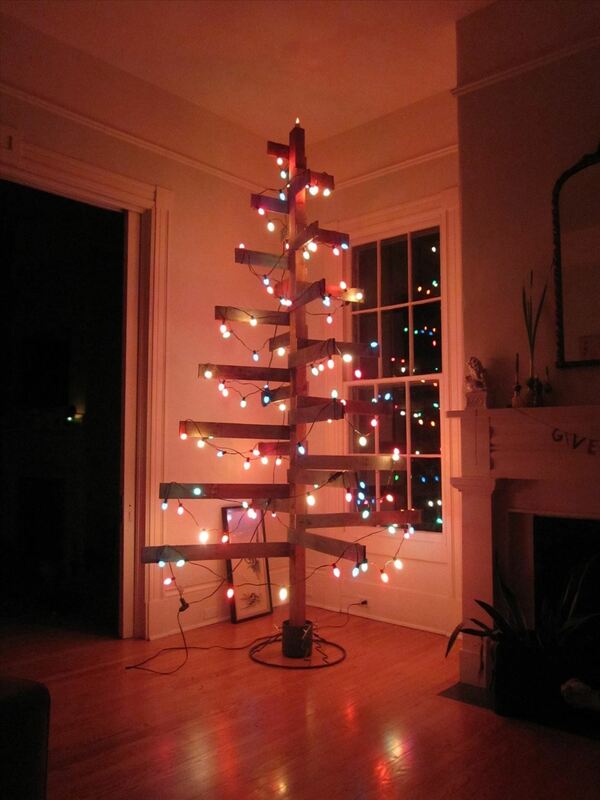 If you really want to keep your Christmas tree because it's "tradition" or whatever, you might as well make it cool. 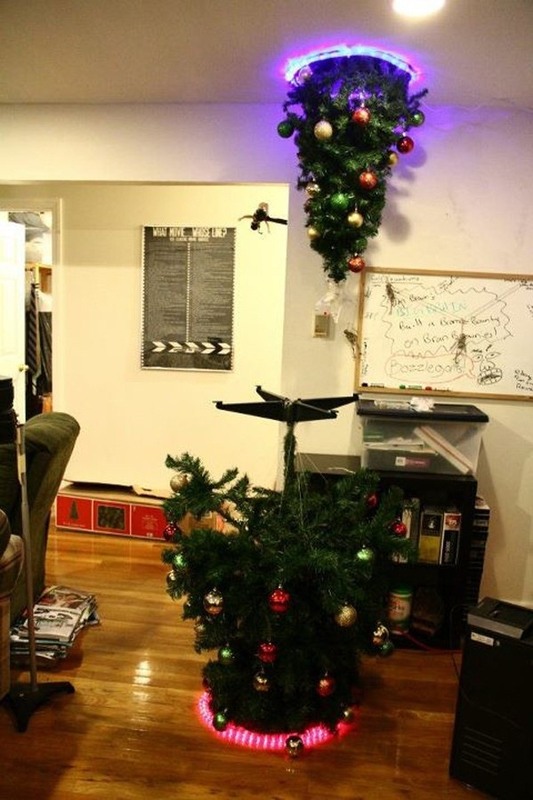 Portal + Christmas = A pretty damn awesome Christmas tree! Who Will Love It: More like, who wouldn't? If you want to be even lazier than all of the above options, you could always just make an origami Christmas tree out of paper. Talk about a space-saver. 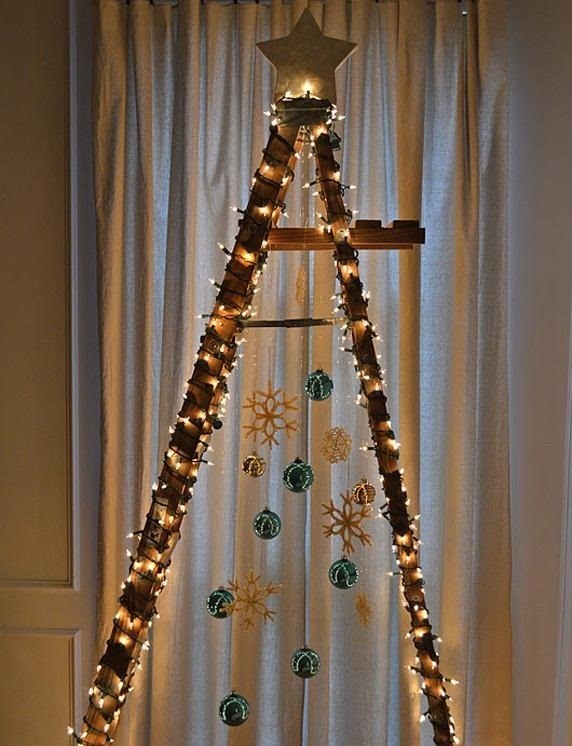 How To: Make a Cheap Desk Christmas Tree!